Booker T & The MGs were an American R&B instrumental group, best known for their work as the Stax Records house band during the 1960s. The story of Booker T & The MGs can be traced back to the early, formative days of Stax Records, when the label and studio had yet to find its feet (it was then known as Satellite Records). Guitarist Steve Cropper was a member of The Mar-Keys, a Memphis high school band which came to record at Satellite in the early 60s (the group's sax player Packy Axton was the daughter of Estelle Axton and nephew of Jim Stewart, the brother-and-sister team who owned and ran the label), and gave them their first Top 10 hit with the instrumental single "Last Night" in 1961. As the label and studio began to take off with the new Stax name and a distribution deal with the major Atlantic label, Steve Cropper became Jim Stewart's right hand man. A new, more professional studio group was put together from the ashes of The Mar-Keys, with drummer Al Jackson Jr., bassist Lewis Steinberg, and a young high school student by the name of Booker T. Jones. Jones was a talented multi-instrumentalist, but soon fell into the role of the group's keyboardist. Together they recorded the R&B instrumental "Green Onions", which became a surprise hit in 1962, charting at #1 R&B and #3 pop. 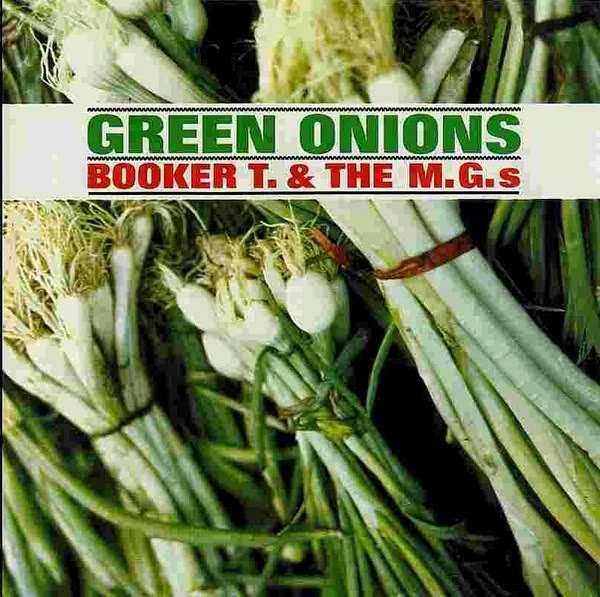 A full album of instrumentals, featuring both originals and covers, was quickly recorded and put out under the Booker T & The MGs name. The album itself charted at #33. Besides giving the fledgling Stax label a massive cross-over hit, the band and the song were important for other reasons. They were a racially integrated group, the importance of which in the R&B world of the early 60s cannot be underestimated. As they went on to become the Stax house band and play on almost all of the label's recordings for the rest of the decade, 1962 can be seen as the year that they laid the foundations for the unmistakable sound of Stax Records, which became synonymous with the 'Memphis Sound'. Maybe you 'll be interested to see it. Thanks for this - I have never heard the album but have just read a great Stax article in Mojo on these guys. Looking forward to giving this a spin. Thanks for all the great music. Muchas gracias, he descargado el archivo. Ahora mismo lo estoy escuchando, saludos!